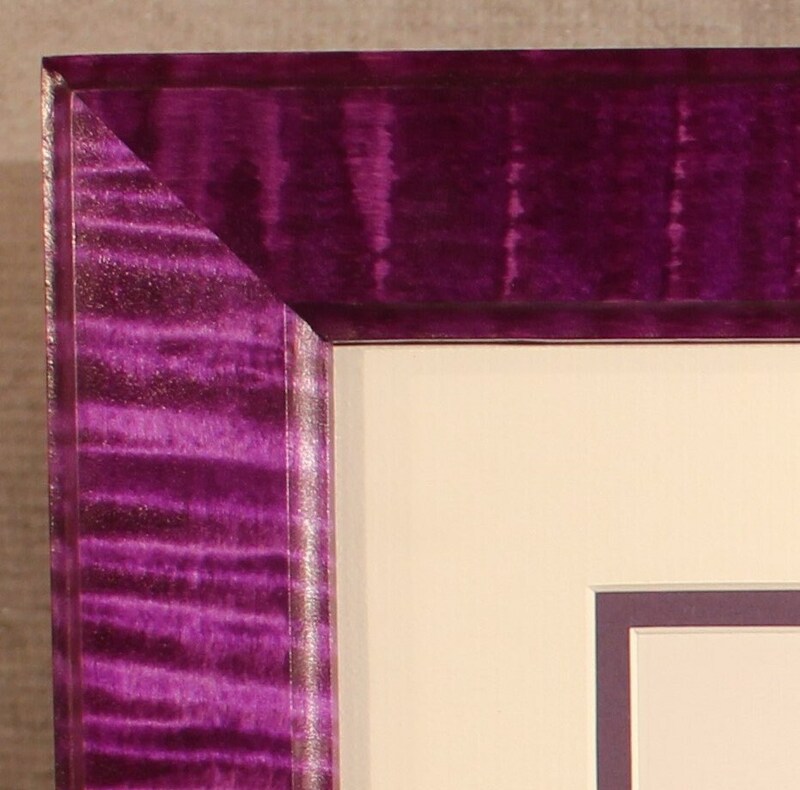 This is an incredible purple double diploma frame, made from solid Tiger Maple, which is a famous wood for making guitars with because of its 3-D like effects. I've dyed it a beautiful deep purple which only enhances the natural eye popping tiger stripes and shimmering 3-D waterfall look that runs throughout the wood. It will appear to be moving as you look at it from different angles or the amount of light in the room changes. 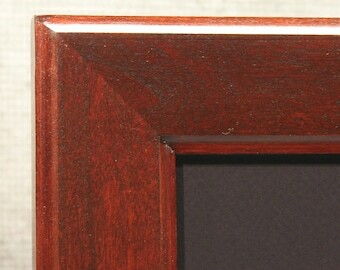 The contrast of the deep purple with the lighter shade and tiger stripes of the maple create an eye catching diploma frame. These color dyed frames are even more beautiful in person. This is an original, truly the only one like it in the world since it's made out solid, raw tiger maple lumber and has its own unique characteristics - not to mention the fact that it's purple! Finish: 3 coats of purple Transtint dye, 3 coats of polyurethane oil and a hand rubbed wax top coat that brings out a beautiful satin sheen. The color on your computer screen or mobile phone MAY not match the actual color of the frame exactly. Mat: Comes with a double mat sized at 22" x 15", with document openings of 8" x 10 1/2". Any color combination of mats can be accommodated, Snowflake White and purple are used in this listing. Be creative with your color combinations! Check out this link to see available mat colors. Cost: $199.99 - I also except Bitcoin or Ethereum at a discounted price (5% off with Ethereum and 10% off with Bitcoin). Contact me if you are interested in using either of these cyrpto-currencies. Contact me for details.